The bicycle industry’s annual trade show sets up in Las Vegas each year. James Buckroyd is a professional product designer who happens to be addicted to cycling and is always seeking out the perfect route and the perfect piece of gear. 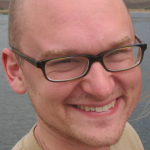 He blogs at BuckyRides.com. His last review was Chrome’s Hondo backpack. Last week I headed to Interbike Vegas 2017, where cycling industry veterans gathered to show off the latest trends and technology in cycling. The first two days of Interbike were the “Outdoor Demo,” where cycling industry pros get to view and ride new bicycles, followed by three days of trade show. 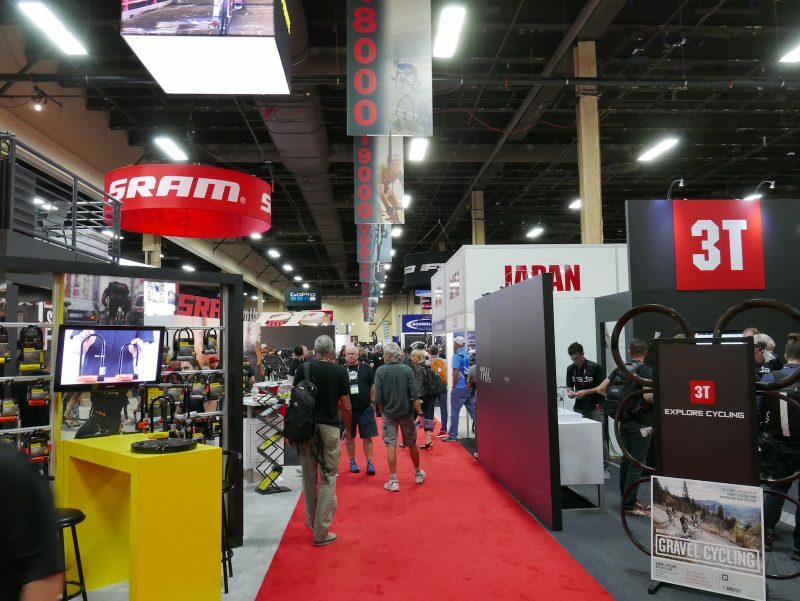 With three exhibition halls full of gear, Interbike gives you a glimpse of the future. Here’s an interesting new local product aimed at people who like to be highly visible on a bike at night but prefer not to resemble a mirror when they get to their destination. 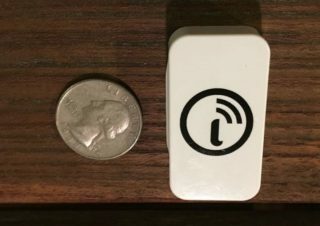 The Portland Bike Reflector, which launched on Kickstarter this morning, is a simple concept: a two-piece “magnetic, removable reflector” that attaches to a jacket, backpack or saddle bag when you’re on the road. Front of new store on SW Stark. 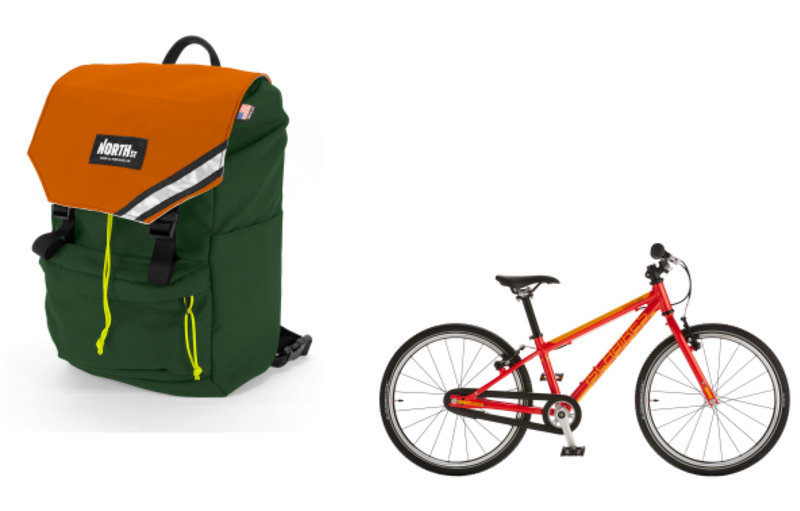 San Francisco-based Timbuk2, a bag brand with deep ties into the bicycle industry, will open a retail store in Portland next month. 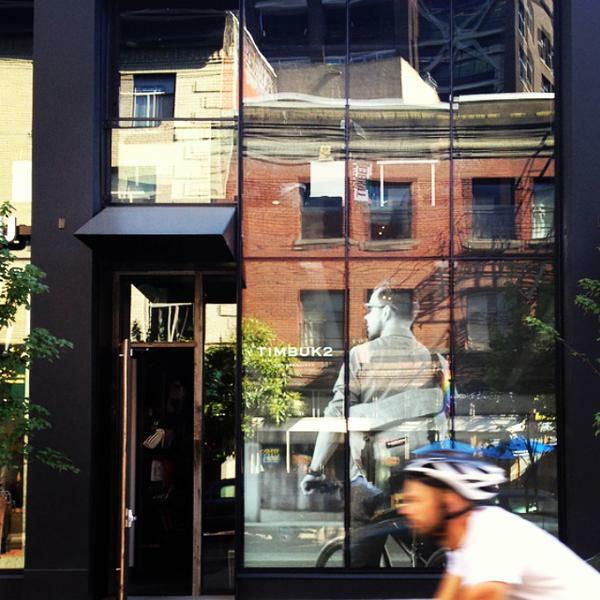 This is the company’s eighth flagship store in North America (they also have stores in Toronto, Venice Beach, Seattle, San Francisco, Denver, and Chicago). The new store is on SW Stark between 11th and 12th, across the street from West End Bikes (and just around the corner from Chrome, another national brand in the same product niche). Bike-centric highlights of the new Timbuk2 store include a repair station with loaner tools and an air pump and a free bikeshare program for customers who need some wheels. A launch party happens on July 11th and will feature food, music, and a raffle to benefit the Bicycle Transportation Alliance. Everything except the bike (and my phone, which I took the photo with). I had no idea what to expect before riding 505 miles in three days on the Oregon Outback last month. 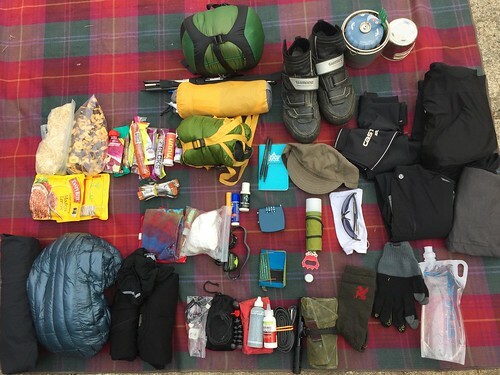 What I did know is that whatever happened, I’d count on my gear to help get me through it. Portland, Ore., December 3, 2013 – Showers Pass, the Portland, Oregon-based leader in wet and inclement weather protection for cyclists has introduced a first-ever, multi-sport waterproof-breathable sock for cycling, running, skiing and other outdoor activities. Reflecting Showers Pass’ trademark attention to detail and commitment to solving the problems of cyclists and other outdoor athletes, the new Crosspoint WP sock provides fast, reliable moisture control for even the toughest outdoor sports – while still feeling like a normal sock. Thanks to a three-layer bonded construction, the new Crosspoint sock provides reliable moisture control and full submersion protection for even the toughest outdoor sports. An Artex waterproof-breathable membrane is sandwiched between the knit outer layer and moisture-wicking Coolmax FX nylon lining for total protection and optimal comfort. A touch of Spandex ensures a snug fit. 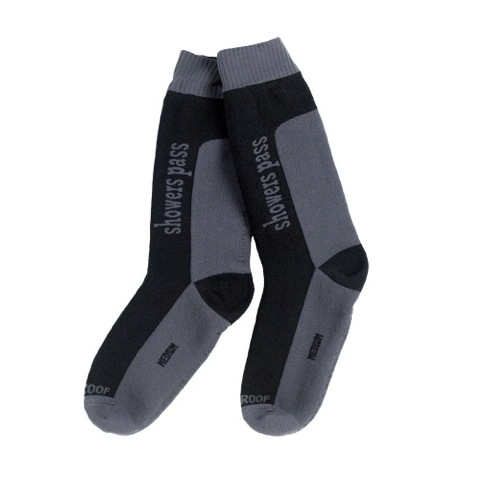 The Showers Pass Crosspoint Mid-Calf WP sock retails at an MSRP of $35, and is available from cycling and sports outerwear retailers worldwide. For more information on this and other Showers Pass products, visit www.showerspass.com. Portland, Ore. based Showers Pass designs and markets technically innovative cycling outerwear and bicycle accessories to top independent bicycle dealers, specialty retailers and a strong, loyal consumer base across the United States and abroad. Showers Pass gear is engineered for bicycle racers, commuters, and everyday cycling enthusiasts. The company is focused on designing performance products so innovative that they inspire more people to ride in any and every weather condition.